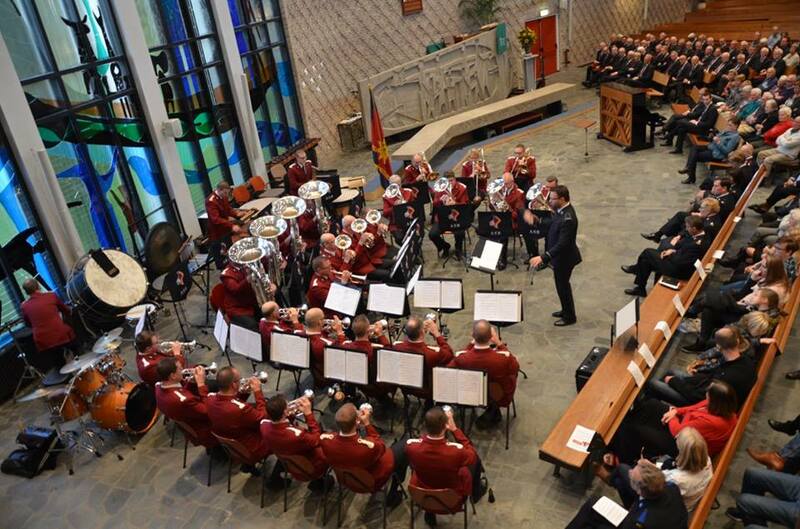 On the last weekend of October 2015, the Amsterdam Staff Band (Bandmaster Olaf Ritman) visited the corps in Lelystad for a ministry weekend. The weekend included an outdoor concert at the town hall, a worship service at the corps on Sunday morning, and two concerts. The weekend began with a reception before the band gave an outdoor concert at the town hall. A number of people listened as the band performed several items from the “Red Book” and the “Rainbow Book” compilations. After the concert, the band moved to the Ontmoetingskerk to prepare for the evening concert. 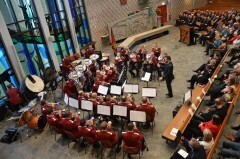 The Staff Band looks back on a very successful weekend and thanks the corps officers at Lelystad, Hans and Edith van den Hoek for their efforts. This article was posted in News and tagged Amsterdam Staff Band, Christelijk Mannenkoor Dronten, concert, Diane Ranselaar, Dronten, Edith van den Hoek, Hans van den Hoek, Jorijn van Hese, Michel Rosenquist, ministry weekend, Olaf Ritman, outdoor concert, Steef Klepke, Terranova on 14 January 2016 .